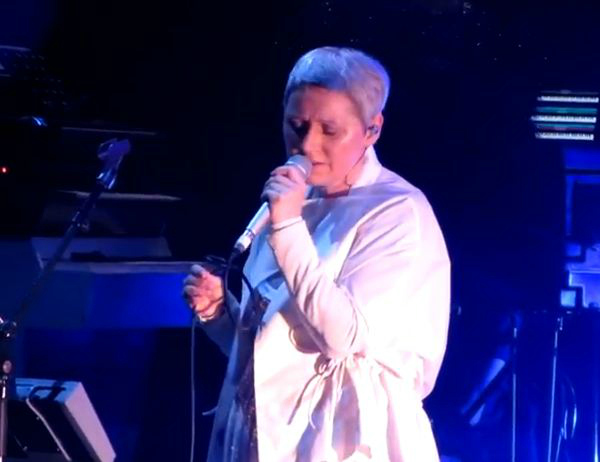 Over the past week, former Cocteau Twins frontwoman Elizabeth Fraser played her first-ever solo concerts — and first full performances of any kind in 14 years — with a trio of shows in the U.K. that delivered, as promised, a mix of Cocteaus material with new arrangements and brand-new solo material from an anticipated album. Fraser and her backing band performed an 18-song-set last Saturday at Bath Pavilion, which served as a warm-up to her performances on Monday and Tuesday at the Antony-curated Meltdown festival at London’s Royal Albert Hall. Below, we’ve got the setlist to the Bath show (via Adrian Masters), which reportedly was the same set played at both Meltdown appearances. Plus, check out the assortment of fan-shot video of varying degrees of quality from the two Meltdown gig — apparently tight security at Bath made it near-impossible to film — that we’ve culled from the depths of YouTube and also assembled below. liz’s voice sounds great but it’s just not the same sonically without robin. not the same without Robin AND Simon i say. Simon’s influence should not be underestimated. Were the back up singers provided with LYRICS???? I’ll never find out I’m sure!